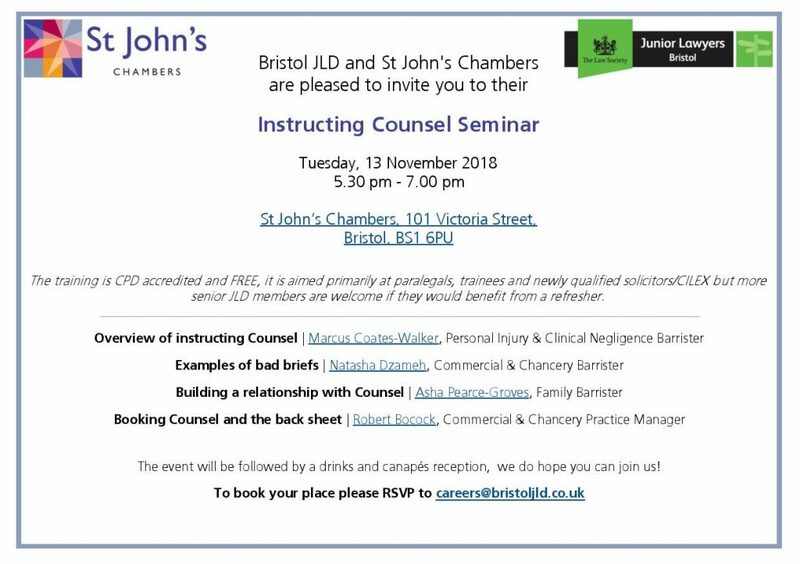 The Bristol WLD are pleased to extend an invitation to JLD member to their next personal development event on 15th November which is kindly sponsored by BCL Legal. Judy Salmon is a business coach and training consultant who has worked with a number of prestigious clients including Brewin Dolphin, Michelmores, and Allen and Overy. Judy specialises in communication skills and in helping individuals to be more personally effective, confident and aware of their strengths and weaknesses. At this workshop, Judy will be focussing on how to get more business from networking by teaching us how to understand the point of networking and use networking events to our advantage by providing tools to break in and out of circles and feel more confident. If you struggle to feel confident attending networking events then this is definitely the event for you. The event will be held at Bristol Law Society’s offices, 12 Colston Ave, Bristol BS1 4ST and will begin at 6pm for a 6.30pm start. There will, of course, be time for networking before and after the session. 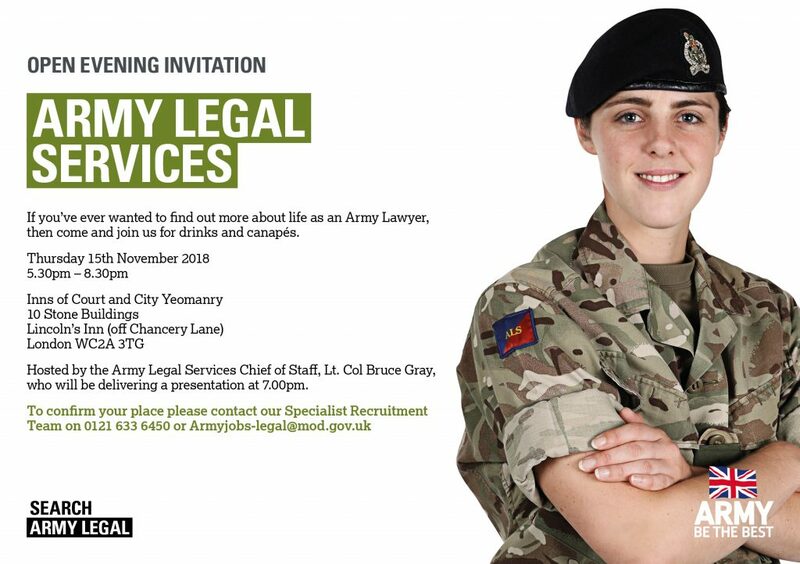 The Army Legal Services (ALS) will be holding another Open Evening in London near Chancery Lane on the 15th November from 5.30pm until 8.30pm with drinks and canapes. This is a great opportunity to meet with ALS Officers to find out more about the role of a Legal Officer in the Army. Open to students, NQs and Qualified Solicitors. Join us for our upcoming instructing counsel seminar with St John’s Chambers on 13th November. 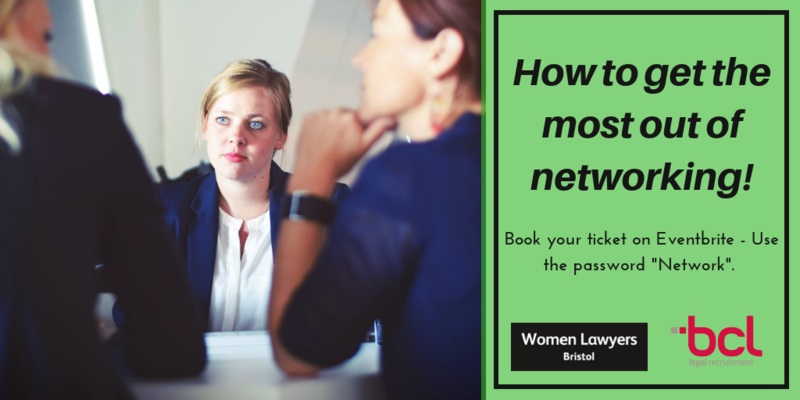 RSVP to Careers@bristoljld.co.uk to reserve your place.